Rather than order a cake, why not try your hand at cake decorating. Whether you are a complete beginner, or would like to develop your existing skills, there is a course for you. 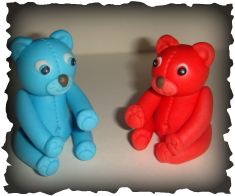 More detailed information can be found on the associated site - Sugar Craft Training by Tess. If you would like to register your interest in training or a demo, please complete the form either on the Contact page from this site or from the Sugar Craft Training by Tess site. Personal one to one sessions or small group sessions are now available within the comfort of your own home. This option is available locally and within a 30 mile radius of Tonbridge - e.g. Sussex, Surrey, South East London and other parts of Kent. Why not cut out the travelling and bring training of your choice to your own doorstep. If you are a member of a group - e.g. women's guild or institute, sugarcraft group - why not organise a demonstration or training session for your group? To register your interest in booking a course or demo for a group, please complete the form on the Contact page of this site, or from the associated Sugar Craft Training by Tess site. A fixed price may be negotiated when organising a demo or course on behalf of a sugar craft group. Training courses for children are held at Tonbridge School during school holidays and half-terms as part of their Recre8 Scheme. For further information contact the Recre8 team direct on 01732 304123. In addition, courses are being held at Holmewood House School, Langton Green (Tunbridge Wells) during Easter and Summer holidays. Contact Claire Pardo - CPardo@holmewoodhouse.co.ukhide - for further information. 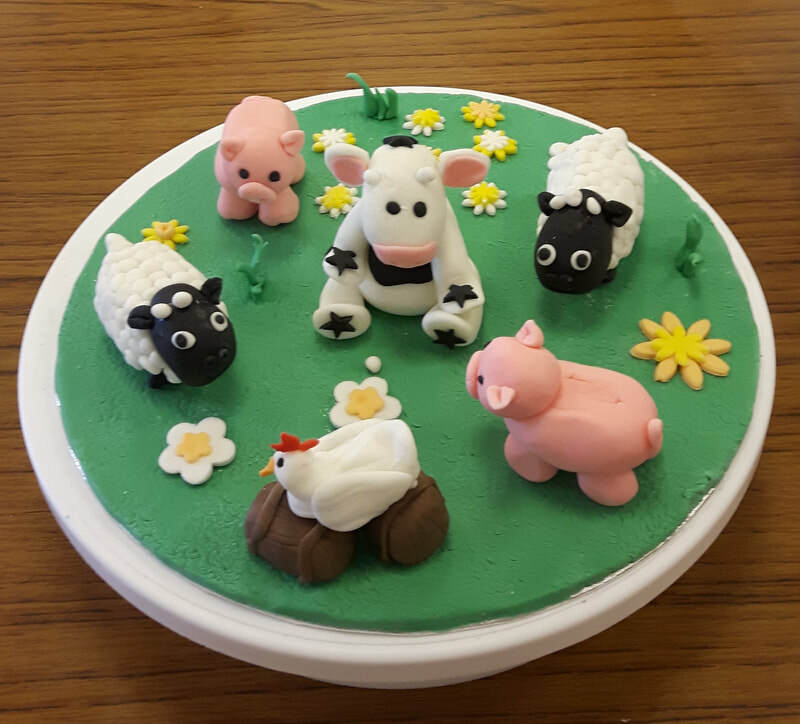 Cake decorating/sugarcraft sessions have proved very popular at children's birthday parties. All equipment and materials will be provided. These are usually 2 hour sessions but can be longer if required and the cost depends on number of children attending, the duration and what the session involves. If you wish to make a booking or find out more information, please email me via the Contact page or by direct email at tesslondon@aol.com. The photos on this page give an idea of some of the courses currently available - further pictures and full details are available on the associated site Sugar Craft Training by Tess site.